Raising funds for The Brain Tumour Charity in Graeme and Rachel's memory. Our son Graeme died aged 28 on 27th October 2006 from a gliobastoma multiforme tumour. Just under 10 years later on 1st September 2016 Graeme's sister Rachel was diagnosed with a brain tumour after suffering a massive seizure. Initially diagnosed as a grade 2 tumour it developed into a grade 3 and finally a grade 4 just like her brother's and as a result Rachel died on 29th November 2018. The Graeme Turner Fund was set up after Graeme died to raise money to support research into brain tumours. After Rachel died we changed the name of the fund to The Graeme Turner and Rachel Cole Fund. The money is targeted at research into high grade tumours that have taken the lives of our two wonderful children whose stories are below. Rachel's journey is described in full detail in a blog that she started soon after her diagnosis. She posted over 200 entries until a few weeks before she died. The blog is funny, harrowing, serious and inspirational in equal parts and the first post can be read at https://rachelcole226.wordpress.com/2016/09/06/first-blog-post/. The following is a summary of Rachel's journey. Rachel was on maternity leave and planning to return to work when on the morning of 1st September 2016 she suddenly keeled over and could not move. Rachel was 35, married to Graham and had two children, Jennifer aged 3 and Leo who was 10 months old. Rachel was at home looking after Leo who was crawling around the floor. Initially Rachel thought that she had had a stroke and fortunately did not lose consciousness but for a time could not move. She could not locate her phone and eventually she managed crawl along the floor to the adjoining room where she reached her iPad and contacted Graham who was at work. Graham contacted Keith and Anne, Rachel's parents (aka The Rents), who lived about 1 mile away. Graham also called for an ambulance and left work to go home. Soon after Graham arrived home Rachel was whisked off to The Queen Elizabeth Hospital in Gateshead (QEH) where a CT scan revealed a swelling on the brain. An MRI scan the following day confirmed a primary brain tumour on the left side of her brain. Impossible as it seemed, our daughter also had a brain tumour like her brother. A friend of Rachel's had searched the internet and discovered that the odds of two siblings having a primary brain tumour were 400,000,000 to 1 and this is the title of the blog that Rachel started to write. This diagnosis was a devastating blow to our family. The fact that two very young children had a very poorly mother with a terminal illness meant the situation was worse than that with Graeme who was unmarried and had no children. Access to the family home was by steep steps and so because Rachel had limited movement in her right leg she moved in with us after her short stay in hospital. We had a toilet and bedroom on the ground floor and since Rachel's family lived so close it meant that they could easily be with her. Rachel was admitted to the RVI in Newcastle for a biopsy and after a short stay she returned to the Rents' house. In the middle of the night a couple of days later we heard Rachel shouting and found her lying in the bathroom halfway between the toilet and bath. She was unable to move and suffering constant seizures that caused her right leg to bang against the bath resulting in a bleeding wound. Paramedics arrived very quickly but it took four of them quite some time to move Rachel because of the limited space and the large number of bodies in the bathroom. Rachel was rushed off to hospital after being given medication to control the seizures. It is estimated that she had had at least 70 seizures that night and as a result she was completely exhausted. Rachel was prescribed a range of anti-seizure medication plus an increased steroid dose to try to control swelling that was presumed to be causing the seizures. After a short stay in hospital and a CAT scan confirming no bleeding on the brain, Rachel returned to Chez Rents. A few weeks after the initial biopsy, surgery was planned for Rachel but a shortage of specialist nurses in the intensive care unit meant that the surgery had to be postponed for over two weeks. On the morning of Halloween 2016, Rachel had an awake craniotomy and a biopsy revealed that the tumour was actually a grade 3 anaplastic astrocytoma tumour rather than the grade 2 that the initial test had indicated. This was bad news but still slightly better than Graeme's Grade 4 GBM. We knew that Rachel had a terminal illness but thought that she would be with us for a more than the 20 months that Graeme had had. When Rachel was discharged from hospital she returned to our house and it was decided that the whole family should do the same. So we had four adults and two small children in our two and a half bedroom house. At least for the first Christmas after Rachel's diagnosis we were all together. After recovering from surgery Rachel had scans and then had a course of radiotherapy. Rachel was still suffering from regular seizures and was taking three different medications in an attempt to control these. On more than one occasion she was rushed off to hospital following a seizure and spent over two weeks in the short stay ward at the QEH while doctors tried to get her medication sorted out. One of the drugs they administered intravenously caused an allergic reaction and Rachel's hand turned a blue colour. After the radiotherapy and more scans Rachel began a course of chemotherapy with Temozolomide. This was the same drug that Graeme had been given as part of a clinical trial 10 years previously. It seemed that treatment for brain tumours had not moved on very much in that time. The Temo was effective at reducing the size of the tumour and Rachel's movement was much improved. So our lives consisted of a few highs and many lows. In the summer of 2017 Rachel and her family moved out of our house and into a bungalow that had been extended and modified to accommodate Rachel's needs. Although smaller than their first house it was perfect for the situation and Rachel named it The Hobbit House. It was even closer to our house and literally just across the main road running through Rowlands Gill and so we were on hand to deal with any sort of emergency. Towards the end of 2017 Rachel health was improving and she was walking regularly. She monitored her activity using an app on her smart watch and we had some hope for the future. All six of us had some lovely holidays including two stays in Yorkshire and several days in Paris just after Christmas 2017. In early March of 2018 Rachel's movement was still relatively good but a scan later that month showed that the tumour had grown and the indication was that it had transformed into a grade 4 GBM just like Rachel's brother. This was the worst news that we could have had. The one ray of hope was that further surgery and chemotherapy were still possible. The risk of surgery included a high possibility of severe restrictions to movement in Rachel's right leg but Rachel agreed to go ahead. This time Rachel was under a general anaesthetic for the surgery that was performed in April. After a few weeks recovery Rachel started a course of chemotherapy starting in early June. By this time Rachel was using a wheelchair when out of the house. The cocktail of drugs (PCV) really knocked Rachel for six and she had be rushed to hospital after a couple of days into the first cycle when she was violently sick. A new anti-emetic was prescribed and it seemed to do the trick. The second cycle of treatment was delayed twice because of Rachel's low blood count and the third cycle of treatment was shortened because Rachel's immune system was really down. To counter this Rachel was prescribed drugs to stimulate her bone marrow and improve her immune system. 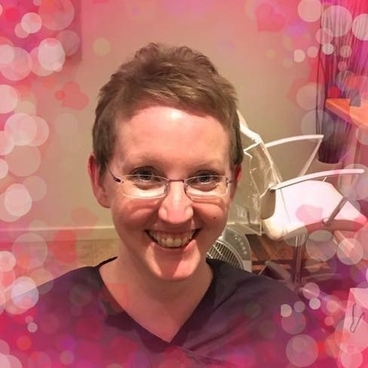 At the end of August a scan showed that treatment had not worked and the tumour had not only grown but spread to the other side of Rachel's brain. This was devastating but not unexpected because Rachel had been having difficulty in walking, was stumbling when she did walk and was sleeping more. Additionally she hated any sort of noise, her short term memory had gone, her sight was failing and she could not concentrate. This meant that she could no longer update her blog and the last post was published on 4th September 2018 just two days short of two years since her first. In early October Rachel was admitted to a local hospice and remained there for two weeks. This provided respite for us all including Rachel. When she was discharged a hospital bed and other accessories had been delivered to the house and visits by carers and district nurses had been organised. It was also decided that the children should stay with us since it was not feasible for Graham to look after them as well as Rachel. It was also not fair on the children since they were clearly distressed to see their mother bed-ridden. The children therefore slept at our house and we took them to school or nursery each day while Graham picked them up. Rachel was getting headaches more frequently and oral doses of morphine were not sufficient so in late October she was given morphine by syringe driver. She was still taking her anti-seizure medication and steroids as tablets by mouth but swallowing was becoming more difficult. In early November all of these drugs were being administered by syringe and Rachel was not eating and drinking very little. Many of Rachel's friends visited her during the last few weeks and she clearly knew they were there by responding with smiles and the odd word. They came from as far away as Canada and Singapore and from all over the UK. In the 10 days before Rachel died Marie Curie nurses stayed several nights to give Graham some chance of rest. Even so district nurses had to be called out during the night on more than one occasion to deal with issues related to Rachel's catheter. At about 8 am on the morning of 29th November Rachel's breathing changed substantially. It can only be described as sounding like throat snoring. Rachel was not in any visible pain but watching her was distressing. Nurses came and gave her an injection to try to clear the mucous in her throat that was causing the sound but it did not make much difference. At 1.44 pm while Graham and Keith were with Rachel she took her last breaths and died very peacefully. Her long journey with the tumour was over and Graham had lost his loving wife, Jennifer and Leo had lost their wonderful mother and we had lost our amazing daughter and last child to this horrible disease. Our son Graeme was 26 when he was diagnosed with a brain tumour in January 2005. The first sign of any problems was a headache that had not subsided after four days. On Monday, 17th January our GP could not find anything obviously wrong and advised Graeme to rest and take pain-killers but to return or go to hospital if the situation did not improve. Graeme stayed off work until Thursday then decided he felt a little better and drove to work at the Job Centre in Hartlepool about 12 miles away. After only an hour at work Graeme stumbled and fell over. His colleagues decided he looked terrible and drove him home. The next day Graeme had obvious weakness in his left leg, arm and hand and when he saw the GP, he immediately admitted Graeme to hospital. A CT scan of Graeme's head, carried out that afternoon, showed the presence of something abnormal on the right side of Graeme's brain. Graeme was started on a course of steroids to reduce the inflammation causing his headaches. By Saturday afternoon Graeme's headaches had started to subside and he was transferred to the neurological unit at James Cook University Hospital in Middlesbrough on the Sunday. An MRI scan showed a tumour and surgery was arranged for Thursday 27th January. After leaving Graeme at 9.30 that morning the day seemed to drag. We returned to the hospital at about 5 pm to see Graeme sitting up in bed looking bright and he greeted us with a wave and a smile. He left hospital on the following Monday and we returned to hear the news of the biopsy on February 3rd. It could not have been worse. The tumour was a Grade 4 Glioblastoma Multiforme; the most aggressive malignant type of brain tumour. This was the most devastating news possible and, worse still, we were told that even if it was removed there was a very high likelihood of it returning. Several weeks later, Graeme started a course of radiotherapy that entailed daily trips to the hospital. He became tired and lost patches of hair but never lost his fighting spirit or his sense of humour. He shaved his head and being 6'3" tall and, by then, weighing about 17 stone because of the steroids, he looked a scary character. We had a big party for all our friends in May at the end of his treatment and the scan a few weeks later showed the tumour had not subsided. So several cycles of chemotherapy began and in November 2005 we had the first good news: the tumour had shrunk by about 30%. Chemotherapy continued and Graeme started back at work just before Christmas 2005. He initially went in part time and gradually built up to full time over the following months. We were told later that people who had the type of tumour Graeme had did not go back to work. Graeme was the first patient of the neurological team at hospital who had done so. Chemotherapy continued but in February 2006 the tumour had not shrunk any more so a different chemotherapy treatment began. After two cycles of this Graeme had a scan in June 2006 and we were told that the tumour was spreading and no more treatment was available. Graeme had to give up work in July 2006 since he was having more difficulty walking. He had been using a walking stick for several months but he now needed a wheelchair that was provided by Social Services. Graeme's 28th birthday was on July 29th 2006 and we knew it would be his last. Graeme's sister, Rachel, organised a Cowboy and Indian Party and arranged the hire of a massive tipi. We had over 75 people there and the vast majority had gone to great lengths to dress up. It was a wonderful party and several people slept overnight in the tipi. During August 2006 Graeme's mobility deteriorated further and he could not see much if anything from his left eye. He still remained positive and never lost his sense of humour. From early September 2006 he was confined to bed and spent a week in Hartlepool Hospice to sort out his medication. When Graeme returned home he was put into a hospital bed that had been delivered to our house for him. He had twice-daily visits from district nurses and we had Marie Curie Nurses staying three nights a week to give us some respite. Graeme's sister, Rachel, was a solicitor working in London and had been told to stay at home as long as she needed and work when she could. This meant that the three most important people in the world to Graeme were with him during his last weeks. It is so distressing to see your child deteriorate before your eyes and to see a 28 year old young man suffer the indignities of incontinence and eventually total blindness. Despite these difficulties he never once complained about his condition. The only comments he made were funny. On one occasion, a few minutes before some friends arrived, Graeme had made a deposit in his giant nappy. When his friends came in he just said, “welcome to the s**t pit", and smiled. That was typical of Graeme. The week before Graeme died his medication was being given via a drip since he could not swallow tablets easily. We were told that this happens in the last couple of days but Graeme hung on for over a week despite not eating and hardly drinking anything. He was unable to speak for the last three days and until his last night he did not need any strong pain relief. We were so grateful that he was not in pain. The night before Graeme died a Marie Curie nurse was staying and unknown to us she had called the local hospice out of hours service out twice since Graeme was a bit agitated. At 4.45 a.m. they suggested that we were woken and Anne, Rachel and I stayed with Graeme until he slipped away very peacefully at 7.45 a.m. on Friday 27th October 2006. The day we hoped that we would never see had arrived and we had lost a wonderful son, brother and friend. He will never be forgotten and we set up a fund in Graeme's memory in association with the The Brain Tumour Charity to raise money to try to find a cure for this horrible disease. 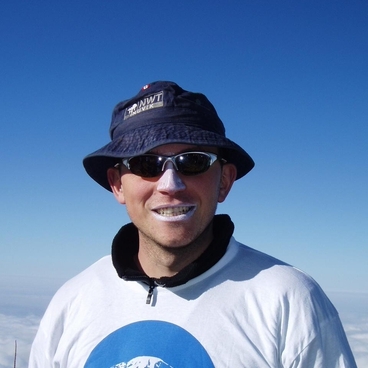 The friends of Graeme are known as Team Graeme and we began a web site at www.teamgraeme.org.uk. More details about Graeme's story are available on the website and there is a link to an amazing diary kept by Rachel during the last weeks of Graeme's life.